Remaining anonymous, the pseudonym AB Admin has become the voice and advocacy for victims of psychopaths. 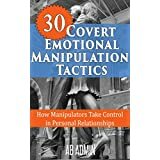 As a former victim, AB admin explores whether psychopaths are capable of love with insightful and practical information. Follow AB Admin's BookGorilla Author Page for new self-help and support eBooks. Please enter your email address and click the Follow button to follow A.B. Admin!